All throughout the 2013 Mayoral election, Houston’s Progressive community has wondered where Mayoral candidate Ben Hall stands LGBT issues such as marriage and workplace discrimination. 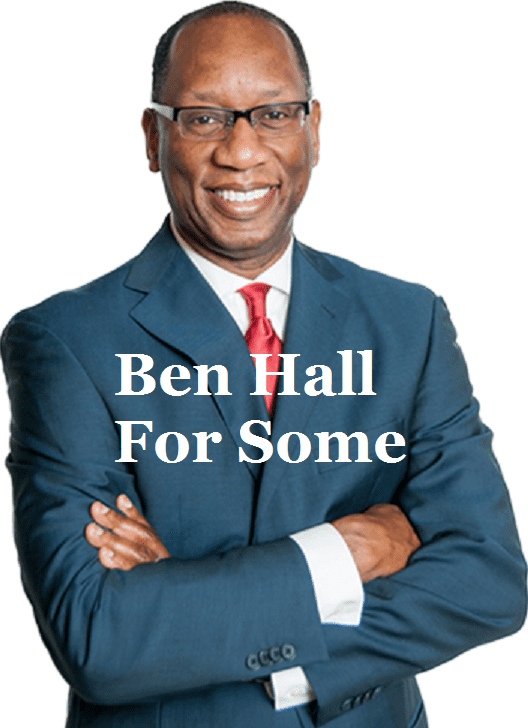 As Mayor and current incumbent Annise Parker has faced much scrutiny regarding these issues, Ben Hall has seemed to get a free pass, managing to artfully avoid all questions on the subject. But today on Houston Matters with host Craig Cohen, the answer finally escaped from his lips. He does not support any form of a comprehensive non-discrimination ordinance. Now keep in mind that Mr. Hall is not only a lawyer, but the former City Attorney of Houston. He has an extensive background regarding cases of minority discrimination, and Civil Rights protections. He is not uneducated in these subjects in any way. But yet, he chooses to deliver an answer so simplistic that you’d think he has no background in law at all. He groups all LGBT rights and protections into one massive hub, and says just because he disagrees with one precedent set by Parker, he would oppose any and all legislation to protect the LGBT community. Few things shock me in this campaign, but Hall’s answer today was quite a surprise. For those that have asked, here is the full list of Texas Leftist endorsements. If didn’t issue an endorsement in the race Houston City Controller, because I felt that there was a strong case to be made on behalf of both incumbent Ronald Green and challenger Bill Frazer. Green is a Democrat and Frazer is Republican, so that may aide some people as they make their decision. Bolstered by unprecedented growth and diversification in Houston’s Asian community, District F is rapidly becoming a second epicenter of the Bayou City. The Asia Town area is exploding with new businesses and entrepreneurial ventures, and needs a council member with the energy, vitality and commitment to voice all of these interests within city government. After a tough campaign in 2011, current incumbent Al Hoang reclaimed his seat. Council Member Hoang’s primary focuses have been crime reduction throughout the district, and to bring in more public investment. Efforts to reduce crime have yielded significant success. While the increased public investment has been much slower, this element is finally coming into the picture. As he seeks a final term, I am hopeful that Hoang will realize what a critical role he has on Council, and fight even harder to bring investment dollars to the area. The pick for District F is Al Hoang. As home to some of Houston’s wealthiest residents in the River Oaks, Galleria and Memorial areas, District G is not short on power and influence within city government. But even with such affluence, the district also has its fair share of challenges. Conservative Council Member Oliver Pennington has represented his constituents very well. Far-removed from the Teapublicanism of Washington, Pennington has exercised common sense judgment and good stewardship for the needs of Houstonians. Even when voicing reservations of some projects he considers “spending”, he always shares a well-reasoned opinion before casting his vote. As a Liberal blog, Texas Leftist have not agreed with all of Pennington’s actions on council. But he is respected for always being willing to all sides of an issue and acting in good faith for his constituents. Though his opponent Brian Taef has run an impressive campaign, Council Member Pennington deserves another term. The pick for District G is Oliver Pennington. The pick for District H is incumbent Ed Gonzalez, who is running unopposed. Though District I may have seemed a more simplistic neighborhood community in previous years, the area has really began to heat up. With massive new investments underway in Downtown, EaDo and in other areas, Texas Leftist agrees with the Chronicle that whoever represents this District ‘should have no learning curve’. All four candidates in this arena have a wealth of experience and qualifications, and any would probably be a good addition to City Council. So much so that it’s quite surprising that none of them (particularly Graci Garces) thought to run for an At-Large seat. But one person in particular seems the best fit to represent District I. Robert Gallegos’ decades of service as a Civic Club President and Founding member and President of the Eastwood/ Lawndale Super-neighborhood have given him a proven record of success for the area. One of his most recent accomplishments was the building of an extensive coalition to support an underpass for the East End rail line. He’s also been proven in the political arena, working as a critical community liason for then-County Commissioner (now State Senator) Sylvia Garcia. With such disparate interests set to converge within District I, Gallegos the person with the skills to bring everyone to the table. The pick for District I is Robert Gallegos. The pick for District J is incumbent Mike Laster, who is running unopposed. The pick for District K is incumbent Larry Green, who is running unopposed. Municipal government may not have the huge budget that Texas lawmakers do in Austin, but as a $4.9 billion-dollar entity, Houston’s city budget is still larger than many countries around the world. The Bayou City is one of the world’s economic powerhouses. As such, being a City Council Member is a big job. District A is sometimes considered Houston’s “most Conservative”, at least when one considers who shows up to vote in elections. Given this fact, it’s fair to say that the persons challenging incumbent Council Member Helena Brown live up to the political philosophies of their constituents. The field has a wealth of strong candidates, including newcomers Ron Hale and Amy Peck. But former Council Member Brenda Stardig seems the most determined to win back the seat. And it is a seat that she deserves to win back. Brown is no longer an unknown entity spewing rhetoric… she has a record of stiff opposition to various types of investment, and has proven herself to not be cooperative member on Council. Brenda Stardig did a much better job during her brief tenure. The pick for District A is former Brenda Stardig. As one of Houston’s most underserved communities, District B is an area with great challenges, but also great potential. What’s been needed for a long time there is a politician that’s not there just to point out the issues, but one that can be a true community member and set good examples for the constituency. Council Member Jerry Davis is off to a fantastic start. He regularly leads service projects with his residents, even doing manual labor when he’s not at the Council table. Beyond the important political work, his commitment to service is encouraging residents to make the community better as well. Davis has started to great things in the District B, and deserves another term to make it even better. The pick for District B is Jerry Davis. The sheer fact that District C Council Member Ellen Cohen is running unopposed for reelection is a sign that most of her constituents are thankful for the job she’s done, and want her to continue. She strives for the highest commitment to open, accountable and responsive government… whether that be her frequent attendance at District Super-neighborhoods and Civic Clubs, or her willingness to address constituents via social media. Though she started with state politics, Cohen has proven that she has a true passion for local government, and as such has earned another term on Council. The pick for District C is Ellen Cohen. Though it’s perhaps best known as one of the city’s great historically African-American communities, District D is starting to experience monumental changes. As home to both the University of Houston and Texas Southern University, District D is already one of the city’s educational powerhouses. New investment in rail transportation and education set to make the district better than ever before, but good leadership is required to see the area reach it’s full potential. The race has a crowded field of strong candidates, including Dwight Boykins and Anthony Robinson. But Assata Richards rises above the pack as an experienced voice that sees District D from all sides. As a University of Houston professor, she understands the growing needs of the area’s educational institutions. As a deep-rooted community member, she’ll fight to protect what residents love most about their neighborhoods, while leading them to aspire to the next level. As a young single mother and college dropout, Richards not only found the motivation to go back to school, but did so with the help of the District D community. She is an inspiring voice that has helped and will continue to help others who need a view of how to change their circumstances. The pick for District D is Assata Richards. District E Council Member Dave Martin is a proud Conservative, and as such, has some viewpoints that do not assuage to the political philosophy of this blog. In practice though, Martin has proven to be a voice of reason on City Council, delivering his fair share of concerns, but also voting mostly in the best interests of his constituency. Elected in January of 2013, he’s had the shortest time on council, but given his very brief record, Martin has earned a full term to work for District E. And of course he will get that full term as he is running unopposed. The pick for District E is Dave Martin. I haven’t been following every twist and turn of the Houston Mayor’s race, but this latest revelation was simply too hard to resist. I hate taxes, but my feelings toward the IRS aren’t much different. How about yours? Mayor Parker was kind enough to tell you the IRS and I’ve had some disagreements over my taxes. But, she just forgot to mention that right before those disagreements started we had sued the IRS for over nine million dollars, and won. Now, think that’s a coincidence? It’s no secret that most Americans (and definitely most Texans) don’t enjoy the act to paying their taxes. But the point of taxes is not to love them or hate them. It’s to pay them. Thus why we view tax payment as an obligation. I don’t happen to love taking out the trash or cleaning my bathroom, but they are things that I’m obliged to do. The same is the case for a community, large or small. Most voters understand that taxes have an important purpose. That tax money goes to protect the citizens of Houston through our brave police and firefighters. They ensure that we have clean water to use, and that our children can attend school. Whatever your opinion of the current state of Houston’s streets and infrastructure, it wouldn’t even be built if not for the tax payments of citizens from previous generations. Of course nobody is perfect. It’s probably safe to assume that many Houstonians haven’t always paid their taxes on time, or exactly the way they need to (count me in as one). Everyone makes mistakes. 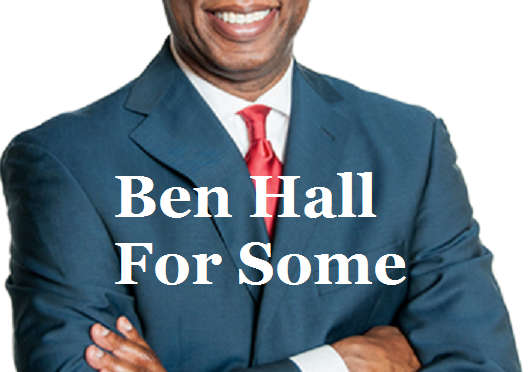 Hall has owned up to those mistakes, and paid most of his past due taxes. But boasting about being a “former deadbeat” does not instill confidence in most people that Hall can run a major city effectively. One would hope that a candidate running for a place in city government would at least recognize the value of taxes, even if that particular candidate doesn’t always enjoy paying them on time. 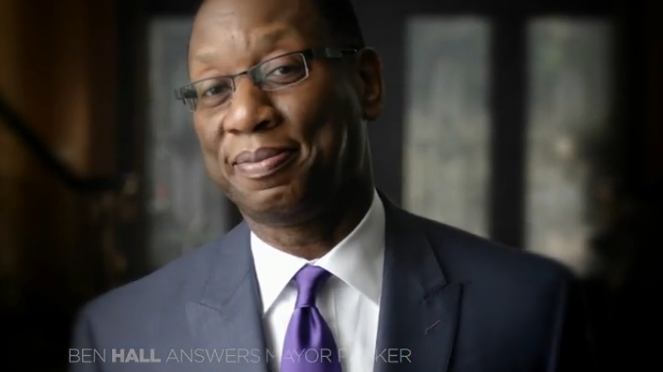 And winning a lawsuit against the IRS may prove Hall to be a good lawyer, but it doesn’t qualify him to be the Mayor of our nation’s fourth largest city. 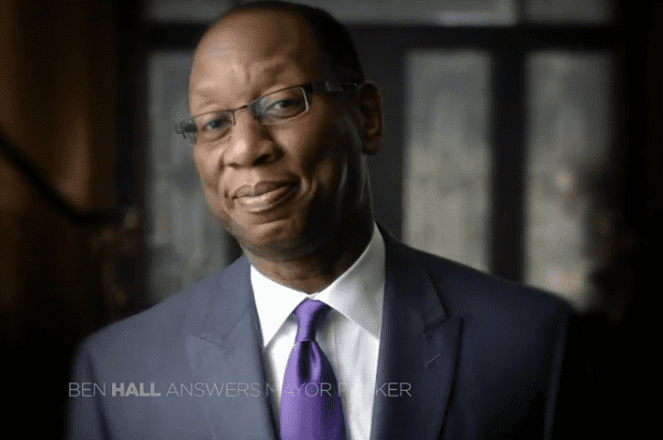 I can’t see how this ad will prove to be a smart move for the Hall campaign, unless he’s decided to abandon the Mayor’s race, and run for TEA Party chairman. The Texas Leftist Candidate Questionnaire has been a great learning experience for me. I am especially thankful to all of the candidates that took the time to read the questions, think about them and respond back. Working with a political campaign, I know how busy and very tired all of these candidates must be as we round the bend to November 5th… the countless number of public appearances, constant scrutiny by voters and news media, and hardly any time to themselves. I honestly admire you all, and sincerely don’t know how you do it!! That being said, TLCQ did not get quite as many responses as I had hoped for, but even with the ones received I am very glad to have contributed to the important political conversation, and raised some issues that others may not be discussing. The voters of Houston and Texas deserve a full, diverse compendium about our elected officials and those who seek said offices. I also salute the great work being done by other bloggers on the 2013 elections, and recommend that voters visit their sites before heading to the polls. Off the Kuff has done a superb job of compiling information on the candidates, so if you’re still trying to find information, check out his 2013 elections page. Look for the first TLCQ endorsements tomorrow.